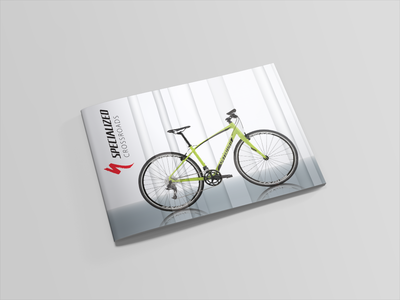 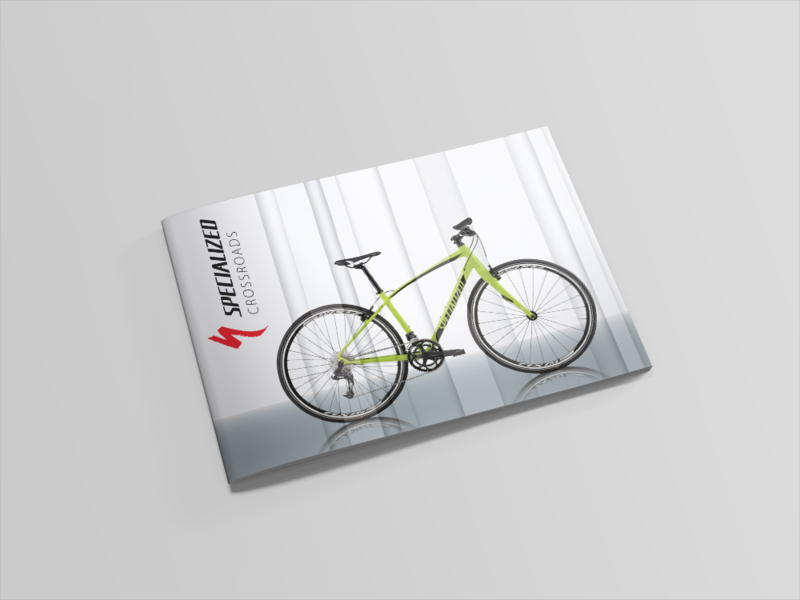 This project was to select a model of bicycle and design an informational booklet to sell the product to potential customers. This involved highlighting various features as well as providing professional photographs that showcased the product. 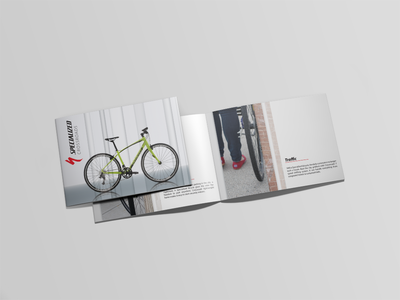 The goal was to provide a booklet that moved the reader through the information in an organized and visually pleasing way. 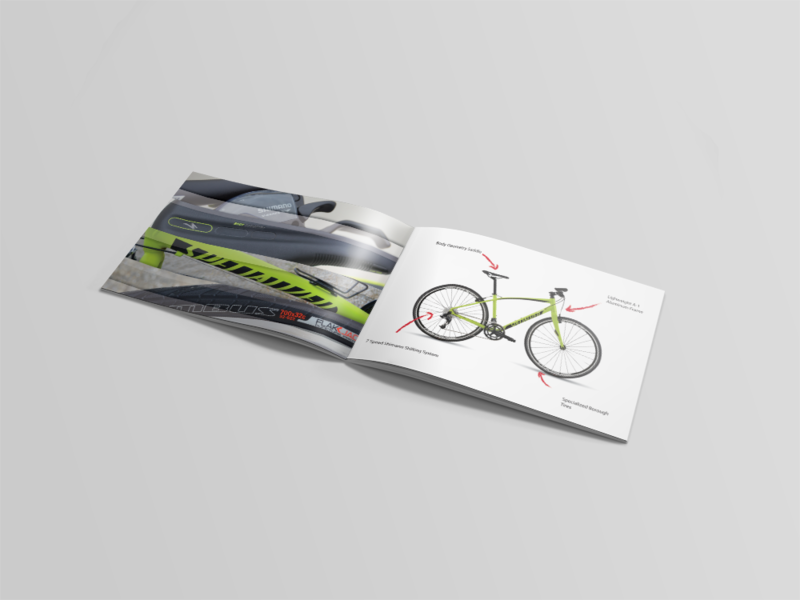 This project also involved working with a group and coordinating photo shoots with a photographer and creating new and exciting text.